People look for Made in USA home goods because it’s more than a label. Made in America means quality, helping your neighbor, investing in your children’s future, and so much more. It can be so difficult to find furniture, home accessories, lighting, candles and such that are American made. We have you covered. Here are some of our favorite MAM member companies. Thank you for supporting them. For three generations, Mark Yeager and his family have been growing the finest upland cotton in the rich, red earth of North Alabama. Now we are proud to present the exceptional quality of our homegrown heirloom linens for the contemporary home through our new venture — Red Land Cotton. Red Land Cotton is and always will be 100% American made and manufactured, and that starts with the soil it’s grown in. Nest Bedding is a family owned and operated, factory direct, mattress and bedding company. Known for our dedicated customer service and unique American made products at great prices. FREE Set of Brushed Microfiber Luxury Sheet Set with Mattress Purchase! No coupon code required – Shop Now ends soon! 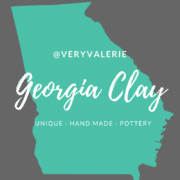 Handmade pottery by VeryValerie. She is sweet, southern, and sassy – with a love of good stories. She took her first pottery class in 2017. Roswell GA has a wonderful art center that offers classes in the evenings on everything from handbuilding to the wheel. As she sat down in the first wheel class – she was hooked and went in for almost every studio hour that she could. Find yarn bowls, handmade mugs, ornaments, and gift toppers. Lanternland is a premier online resource for high-quality American Made Lanterns. Handmade by talented artisans in our Arizona factory, our lanterns are known for their quality, beauty, and durability. Made of brass or copper our lanterns will never rust. Each design is available in your choice of size, finish, and glass. Be sure to ask about our custom capabilities. Be sure to ask about our custom capabilities. A50 was founded on the belief that we can make the finest home goods in the world, right here in America. We don’t compromise on quality. We don’t compromise on values. We don’t manufacture overseas – Never have. Never will. Bevolo Gas and Electric Lights is a family owned, 4th generation company manufacturing copper gas and electric lanterns since 1945. Bevolo has a team of lighting designers with generations of experience. Every aspect of the home will be taken into account when looking at your project. In New Jersey and New York City, when people talk about custom storage furniture, they talk about Contempo Space. Bedroom wardrobes, armoires, storage platform beds, and pier wall headboards are all made to order in our customers’ choice of sizes and finish. From flashy mirrored fronts, to eloquent colored glass, or customary wood tones, we strive to delight every single customer with a fusion of practicality and beauty. Our family owned company has been designing and building custom furniture for over thirty years. Furniture for Small Rooms & Narrow Doors/Stairways – Scaled for smaller rooms without looking or feeling “small.” Fits through narrow doors and stairways where other sofas, sleepers, and sectionals cannot go. Hand crafted one piece at a time in our High Point, NC factory using solid oak frames built to last a lifetime. 300+ available fabrics/leathers include a large selection of Made in America high performance fabrics. Shipped nationwide direct from our factory to your home. Use code MAM15 for 15% off entire order. (one coupon code per order) High quality, luxury bedding, made in the USA by craftsmen making products since 1899. You will love our chemical free softness, deeper pockets, “Top or Bottom” labels, traceable USA organic cotton grown by family farmers and thicker more substantial fabric. Free shipping and a 2-Year Risk-Free Trial. Buy direct from the manufacturer and support sustainability, a reinvigoration of the once thriving textile industry, local supply chains and your fellow Americans. Each piece is built to order and designed to last generations. Our traditionally handcrafted furniture is made from sustainably harvested woods, to ensure that we are doing our part to protect the earth’s precious rainforests. 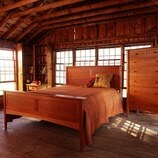 All of our handmade wood furniture carries a Lifetime Guarantee. Endorsed by WebMD, Puffy was designed to maximize sleep health. They are committed to using sleep research and implementing the best sleep technologies in our mattress to bring you better, healthier sleep. Puffy mattresses are designed to relieve back and joint pain by eliminating pressure points and improving blood circulation. Regardless of your body type or sleeping position habits, their Cooling Cloud foam’s adaptive and comfort properties allow for even weight distribution and heat dissipation for a full and rich sleep, night after night. New York Textile Co. is a modern home goods company that produces handmade quilts, contemporary blankets, and decorative throw pillows. All of our products are 100% Made in the USA, so while we might make traditional items, they are always based on progressive ideals. White Lotus Home maintains a simple objective: to offer products that are safe for people and the planet, and to educate consumers about the benefits of natural mattresses, pillows, and bedding. Handcrafted by skilled artisans in NJ since 1981, all of our high-quality natural products are made from all-American raw materials whenever possible. The name PhotoThrow is synonymous with fine knitted, personalized gifts. We were the first to introduce this incredible technology to the industry and we continue to produce the highest quality merchandise. To expand on our existing custom knit products, we have also created a huge line custom gifts like mugs, T-shirts, tote bags, phone covers and much more. If you make or sell American made furniture, home accessories, lighting, candles, etc… and would like us to feature your business on this page, fill out our application or click the “GET LISTED” button and a MAM rep will respond within 48hrs.